Based on the highly successful TC51 / TC56 devices, the TC52 / TC57 Touch Computers also provide a new platform and features to deliver superior enterprise-class touch computing. 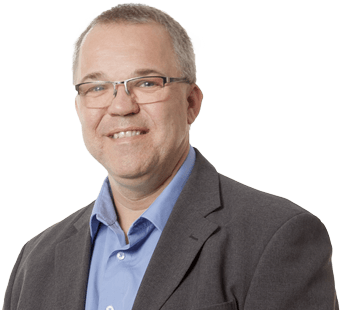 Mobile employees today also prefer the look and feel of their own private smartphones, including comfortable touch-screen operation and handy format, in business devices. 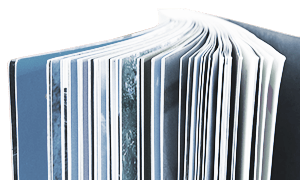 Companies especially want a secure investment, durable and rugged hardware that can withstand harsh environments. 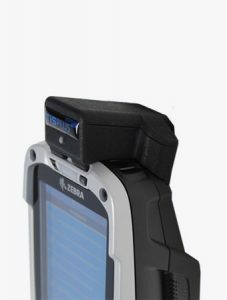 The Zebra TC52 / TC57 handheld is designed for intensive daily use in the most diverse business applications. 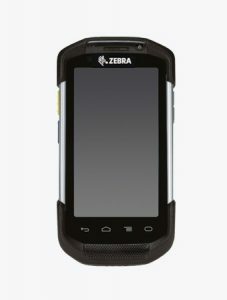 Different zebra-only features make the device unique in its class. 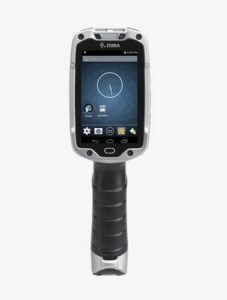 The productivity of your employees increases through features such as the one-touch access, powerful scanner and processor and high-resolution camera. BTRY-TC51-43MA1-01 | PowerPrecision+ Spare Lithium Ion battery, 4300 mAh. Advanced new battery technology, provides a higher level of intelligence (State of Charge and State of Health) to deliver maximum performance (Single Pack). SAC-TC51-4SCHG-01 | TC51/56 4-slot battery charger, charges four spare batteries. Includes: Power Supply PWR-BGA12V50W0WW and DC cable CBL-DC-388A1-01. Country specific AC line cord, Rack/Wall bracket sold separately. PWR-BGA12V50W0WW | Power supply for 4-slot battery charger: 100-240 VAC, 12VDC, 4.16A. Requires: Country specific AC grounded line cord. 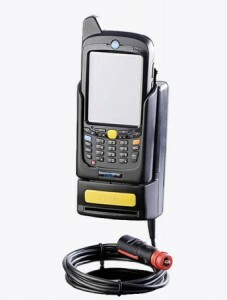 CRD-TC51-1SCU-01 | TC51/56 Single Slot Charge/USB ShareCradle. Charges and allows USB communication to one device. Includes PWR-BGA12V50W0WW and DC cable CBL-DC-388A1-01. Country Specific AC Line Cord and 25-124330-01R Micro-USB Cable, Sold Separately. KT-TC51-ETH1-01 | USB-Ethernet Adapter kit for ShareCradle single-slot. Includes housing to secure Ethernet module to cradle. PWR-BGA12V50W0WW | Power supply for single-slot cradle: 100-240 VAC, 12VDC, 4.16A. TC51/56 5-Slot Charge Only Cradle with 4-Slot Spare Battery Charger, charges up to 4 devices and up to 4 spare batteries. Includes power supply PWR-BGA12V108W0WW and DC cable CBL-DC-382A1-01. Country specific AC line cord sold separately. PWR-BGA12V108W0WW | Power supply for multi-slot cradle: 100-240 VAC, 12VDC, 9A. Requires: Country specific AC grounded line cord. CBL-DC-382A1-01 DC cable provides power from the power supply to multi-slot charge-only and Ethernet cradles. BRKT-SCRD-SMRK-01 | Rack/Wall mounting bracket, allows to install any Single-Slot or Multi-Slot cradle on a wall or a 19” IT rack. The bracket also allows to install up to four 4-Slot Spare Battery Chargers together on a wall or standard 19” IT rack. SG-TC51-EXO1-01 | TC51/56 Rugged Boot and Handstrap. Provides additional protection to the device and allows user to attach a trigger handle. KT-TC51-TRG1-01 | TC51/56 Snap-On Trigger Handle and Rugged Boot Kit. 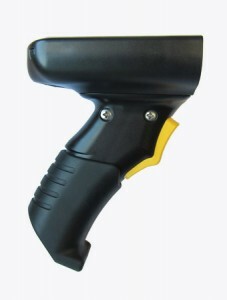 Trigger handle easily attaches to rugged boot and easily removed to access battery. Trigger handle includes a tether point for a wrist tether. Wrist Tether (SG-PD40-WLD1-01) sold separately. TRG-TC51-SNP1-01 | TC51/56 Snap-On Trigger Handle. Requires TC51/56 rugged boot (sold separately or included in above kit KT-TC51-TRG1-01). Wrist Tether and rugged boot sold separately. SG-TC51-EHDSTP1-03 | TC51/56 Replacement Handstrap for devices configured with a rugged boot (3-pack). Provides added safety against accidental drops of the device while on the move. SG-TC51-BHDSTP1-03 | TC51 Basic Handstrap kit. 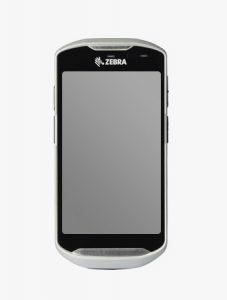 Allows TC51 devices without a rugged boot to be configured with a handstrap (3-pack). For use with TC51 WLAN configurations only. SG-TC51-HLSTR1-01 | TC51/56 soft holster for vertical orientation with open bucket design for easy insertion and removal. Features adjustable straps to accommodate handstrap, rugged boot and trigger handle configurations. SG-TC7X-STYLUS-03 | Stylus with coiled tether 3-Pk. Made of conductive carbon-filled plastic material, optimized for enterprise durability. CBL-TC51-USB1-01 | TC51/56 Rugged USB/Charge Cable. Accommodates TC51/56 with and without rugged boot. HSDT-35MM-PTVP-01 | Over the ear headset with/MIC and PTT-3.5mm. Requires 3.5MM adapter cable CBL-TC51-HDST35-01 (sold separately). China 50-16000-217R: 1.9M long, AS 3112 plug. 50-16000-257R: 1.8M long, IEC 60320 C13 plug. US 23844-00-00R: 7.5 feet long. 50-16000-221R: 1.8M long, USA NEMA 5-15P.